Due to the shoe styling we suggest you order up a half size. For example, if you normally wear an 8, we suggest ordering an 8-1/2. 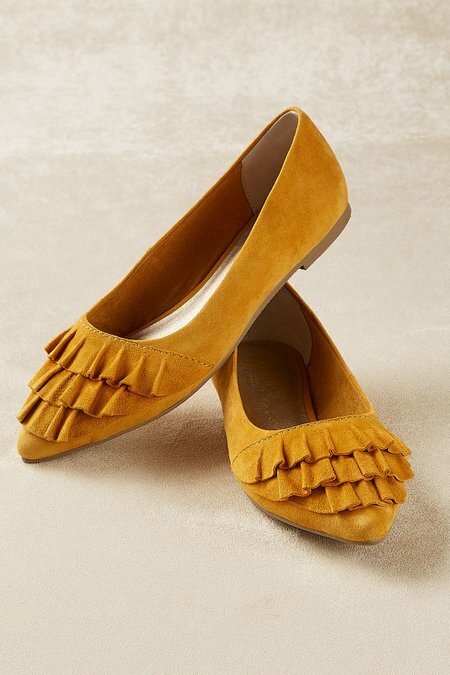 Ruffled tiers are so pretty cascading over the top of these sweet Seychelles leather flats. Their synthetic lining and sole and cushioned insole comfort feet all day into night. A charming choice for special occasions or for dressing up your daily style. 1/2" heel.